After closure in 1987 the colliery offices were transformed into this community learning centre which includes a branch of the South Wales Miners’ Library and café amongst its well used facilities. 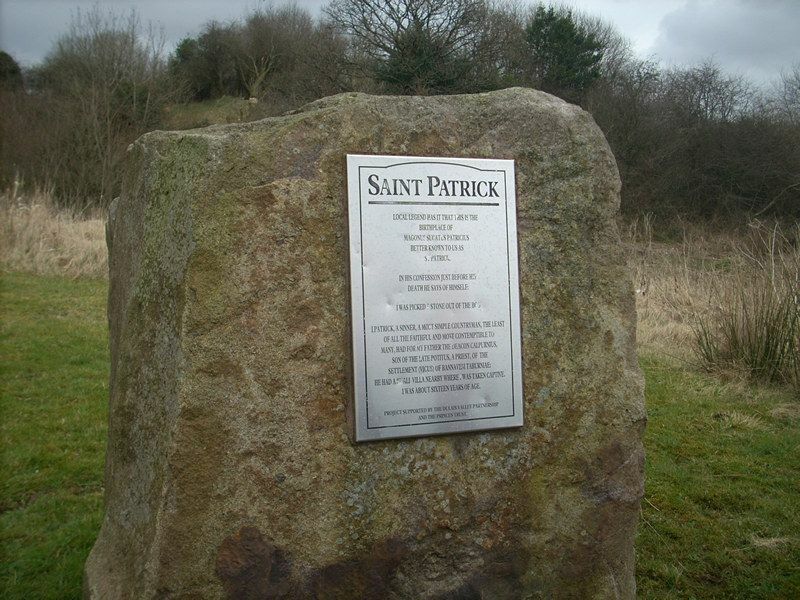 The standing stone commemorates St Patrick, the patron saint of Ireland, who, according to legend was born in Banwen in 385 AD. In 1925 the Reverend William Herbert Jones, vicar at St Mary’s Church, Seven Sisters decided to build a branch Church at Duffryn Cellwen. 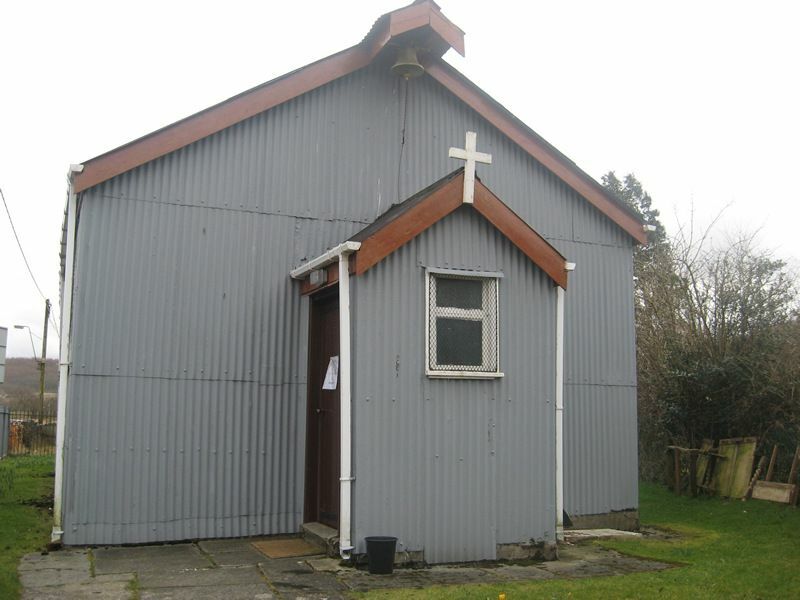 The church, a corrugated iron building, was officially opened in October 1925 and named St David’s Church. Each year on St David’s Day the church plays host to the Daffodil Festival. 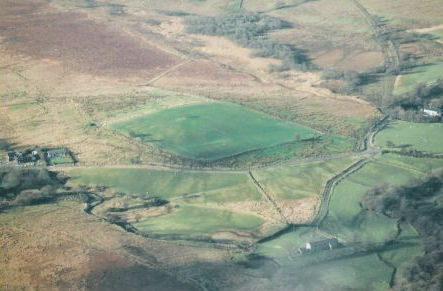 The Neath and Dulais valleys were used as communication routes by the Romans and the fort and camp were part of a network of military sites across south Wales. The temporary marching camp may date from the campaigns against the Silures around 74-78 AD. The fort, known as the Gaer, was probably built during the same period, as a more permanent base. It would have held over 400 troops and was in use for about 500 years, until the troops were sent north to Hadrian’s Wall. This peat bog is an important wildlife habitat. The mire, formed on a col between two rivers, is a rare feature in south or mid Wales. Iron making and coal mining created this settlement soon after the Onllwyn enterprises. Banwen colliery opened in 1845 together with the erection of the colliery houses. 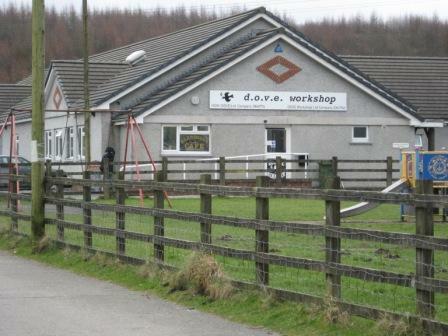 A later development was the opening of the larger Maesmarchog mine and more workers housing. Banwen ironworks was established in 1847 but only lasted until 1854. This area was very isolated before the Neath and Brecon Railway opened in 1863. 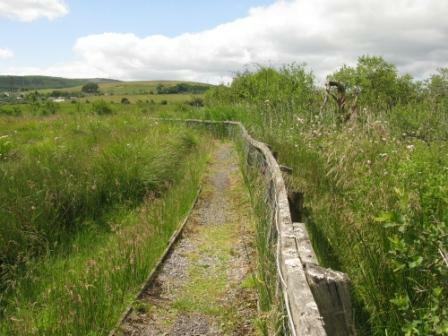 Until then the only means of conveying the coal and iron out of the valley from Onllwyn and Banwen was by a horse-drawn tramroad westwards to the Swansea Canal near Ystradgynlais. 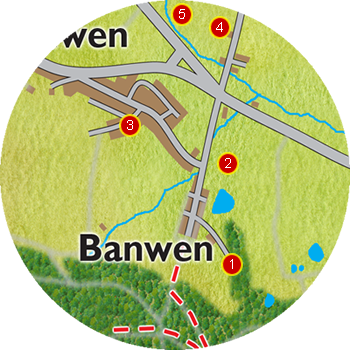 Please click the picture to below to open a slideshow of larger pictures from the Banwen Village Trail.